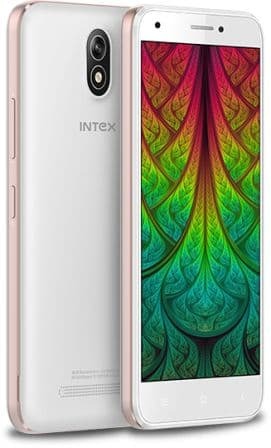 Intex Technologies is releasing smartphones in quick succession. On Saturday it was the Aqua Raze II, yesterday it was the Aqua Pro 4G and today it is the Intex Aqua Strong 5.2. As the name is evident it is the successor to the Aqua Strong 5.1 that was launched in August. 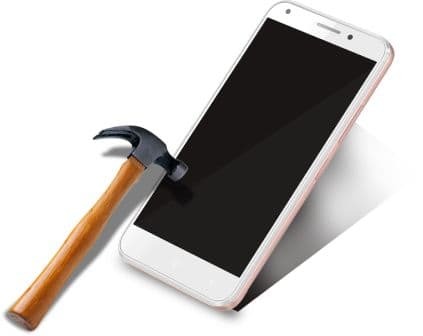 The Intex Aqua Strong 5.2 gets its ‘Strong’ moniker thanks to the Corning Gorilla Glass 2 on the 5inch display which has a FWVGA (854 x 480 pixels) resolution and pixel density of 196ppi. The screen-to-bezel ratio is 67% which is less than satisfactory. The Intex Aqua Strong 5.2 has a very familiar MediaTek MT6735 chipset that houses a 64-bit 1.3GHz quad-core ARM Cortex-A53 processor, ARM Mali-T720 GPU and 2GB of LPDDR3 RAM to run Android 6.0 (Marshmallow). The internal memory on the Intex Aqua Strong 5.2 stands at 16GB and after the operating system and preinstalled apps you have 10.8GB to use. There is a microSD card slot to accommodate cards of up to 32GB. The cameras on the Intex Aqua Strong 5.2 are 5MP LED equipped flash on the rear and 2MP one on the front. The connectivity options on the dual SIM Intex Aqua Strong 5.2 are Bluetooth, microUSB and Wi-Fi. The sole sensor on the Intex Aqua Strong 5.2 is the accelerometer. The Intex Aqua Strong 5.2 is powered by a 2800mAh battery that is claimed to offer 466 hours of standby and 16 hours of talk time. The preinstalled apps on the Intex Aqua Strong 5.2 include Sony Liv and Matrabhasha. The company throws in a protective cover and screen guard for free with the Intex Aqua Strong 5.2 that also supports 4G VoLTE. 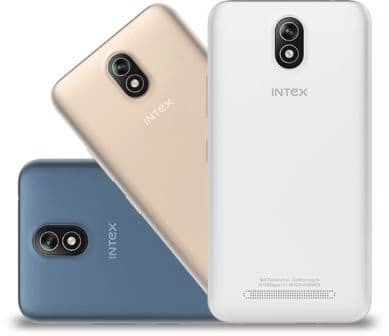 The Intex Aqua Strong 5.2 will be available in White, Blue and Champagne colour variants for Rs. 6,390.